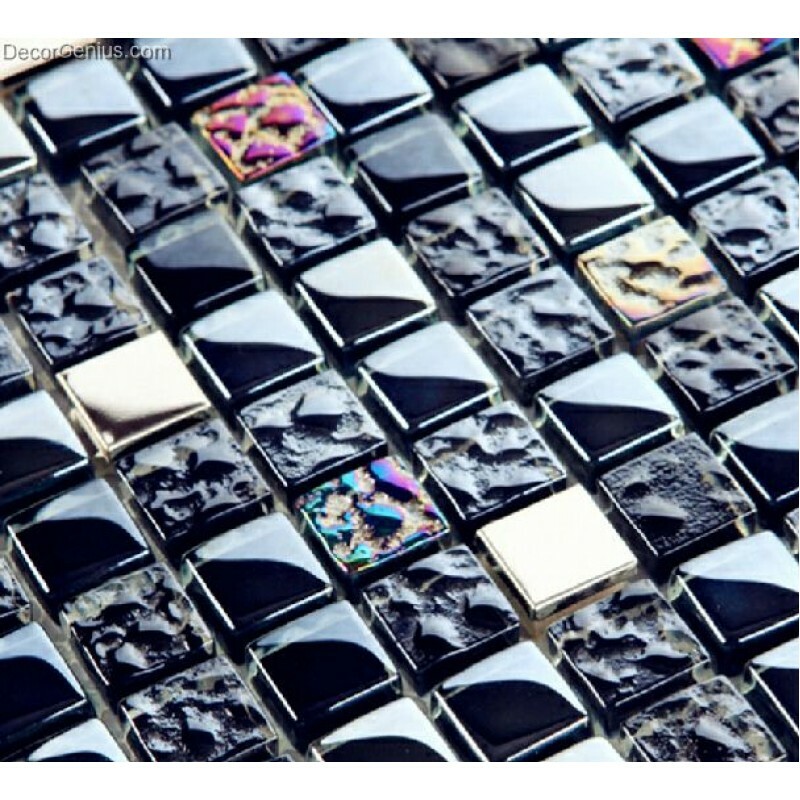 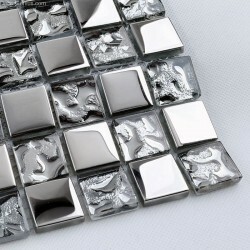 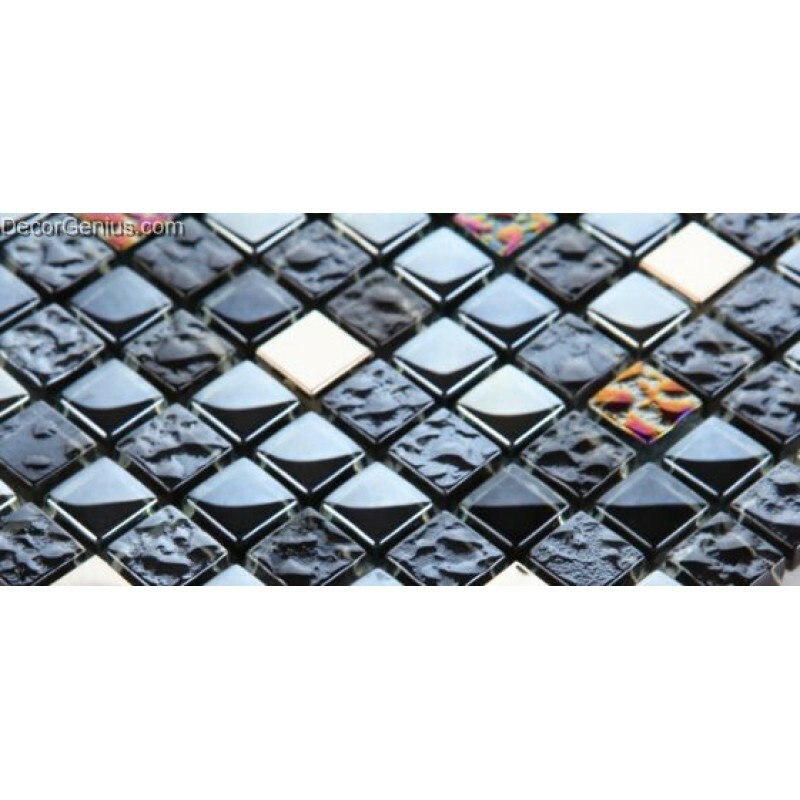 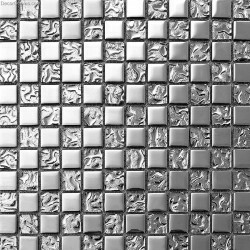 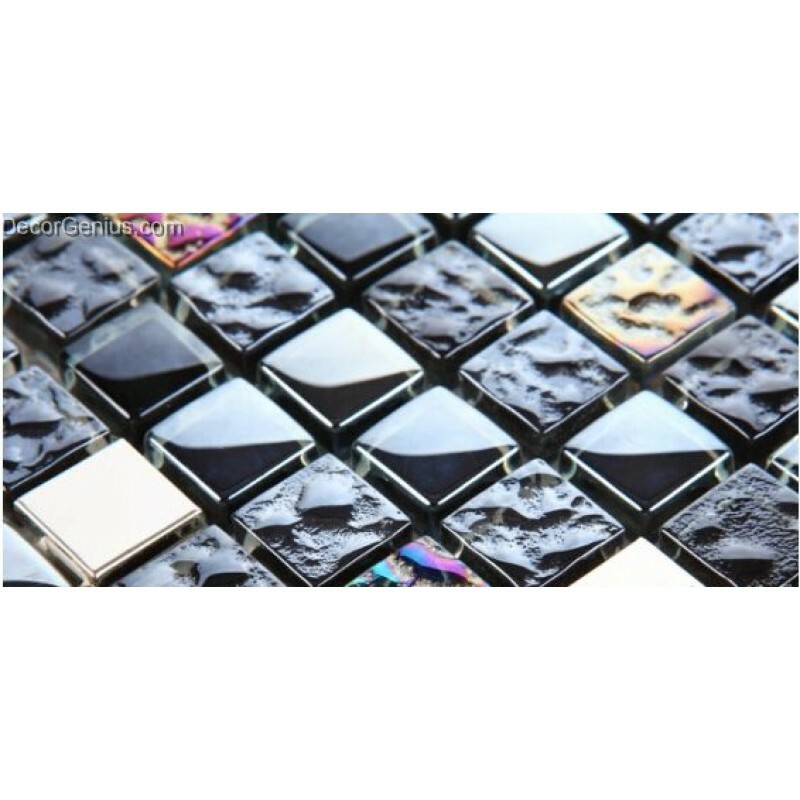 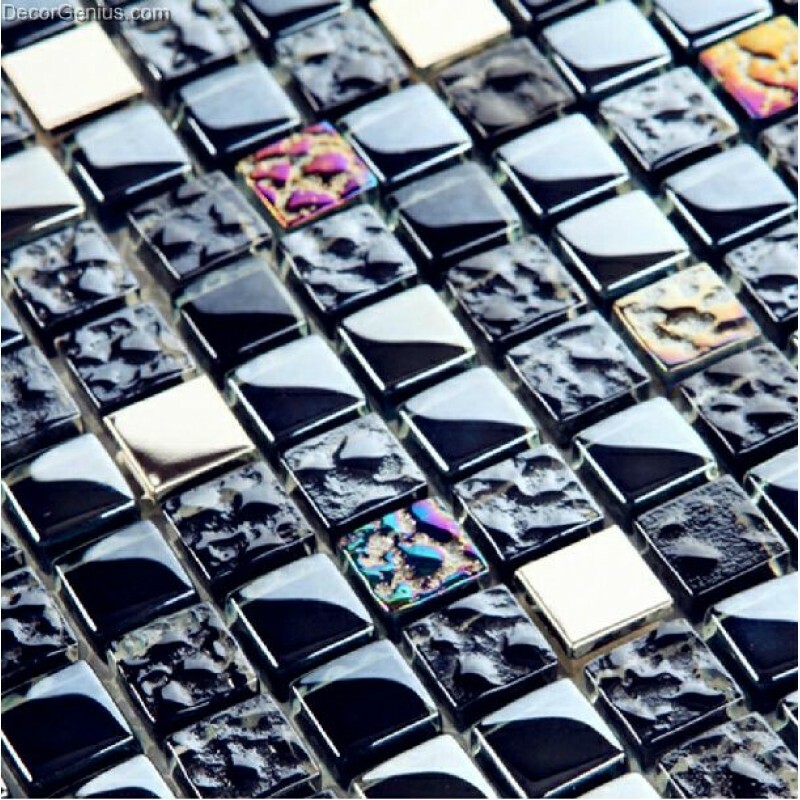 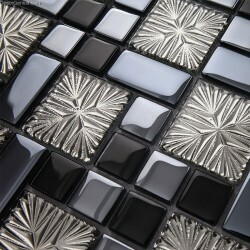 Glossy, easy for cleaning, This glass metal resin mosaic tile makes your living room or kitchen backsplash shine and brightly. 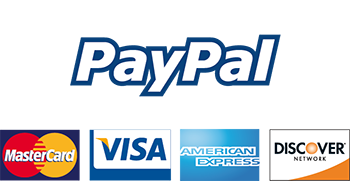 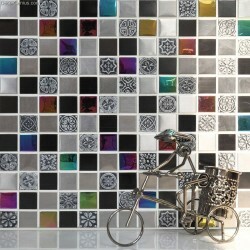 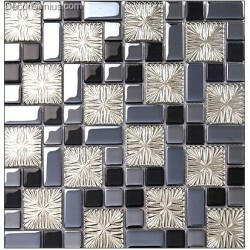 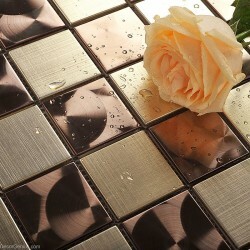 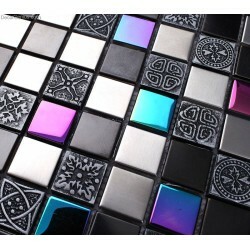 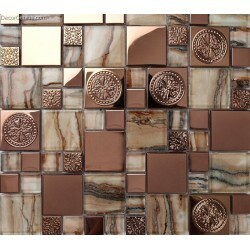 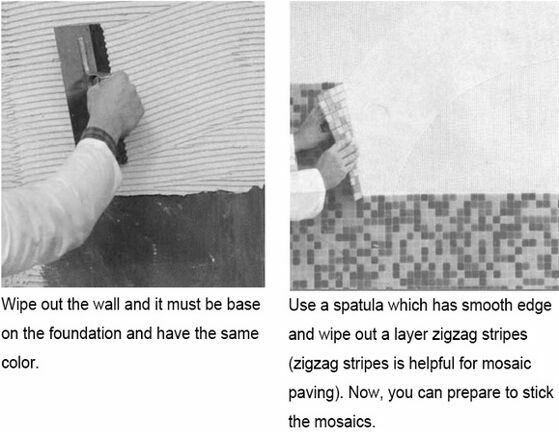 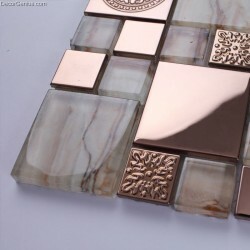 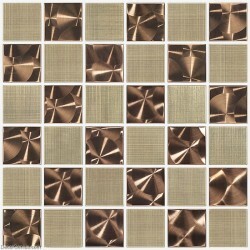 It is recommended for the living room, mirror wall, bathroom wall, countertops area as decorative tile. 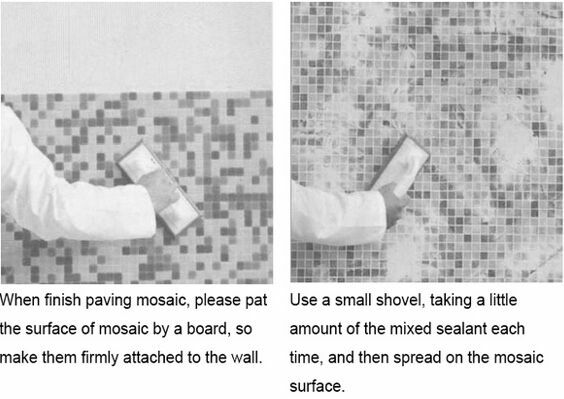 On the back of the tile it is mesh mounted, easy for average person to install and decorate their home.